Climbing upward through Foog's Gate, you come to the Upper Ward of the Castle. Dominating the Upper Ward is Crown Square, which was laid out atop a series of vaults in the 15th century. On the northern side of the Square is the Royal Palace begun under King James IV in the 15th century and remodeled for James VI in 1617. 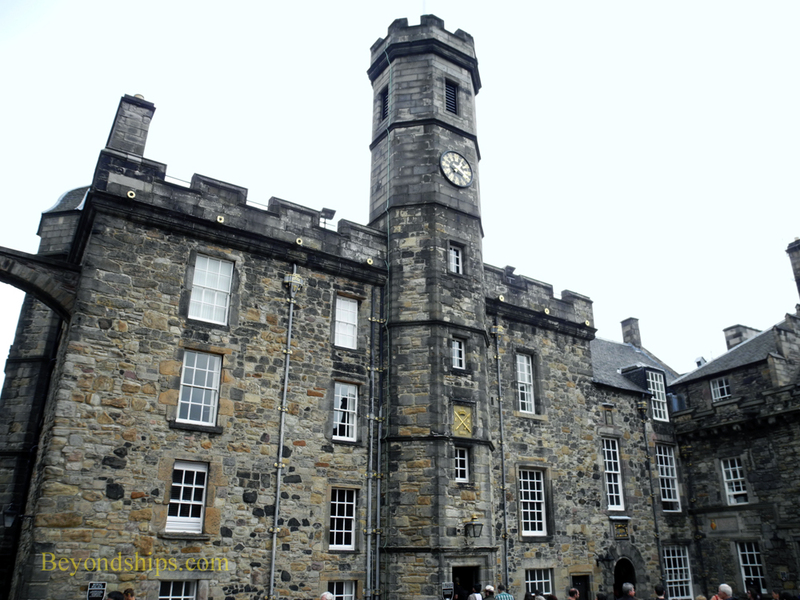 There is often a line waiting to go in the Royal Palace (above) because this is where the Crown Jewels of Scotland are kept. In addition to the crown, scepter, and sword of state, it holds the ancient Stone of Destiny upon which the monarchs of Scotland (and, more recently Great Britain) have been crowned. The Crown Jewels were locked away following the Treaty of Union in 1707 and were not seen again until the author Sir Walter Scott was given permission to break into the Crown Room in 1818. In addition to the Crown Jewels, visitors to the Royal Palace can see several of the royal apartments. 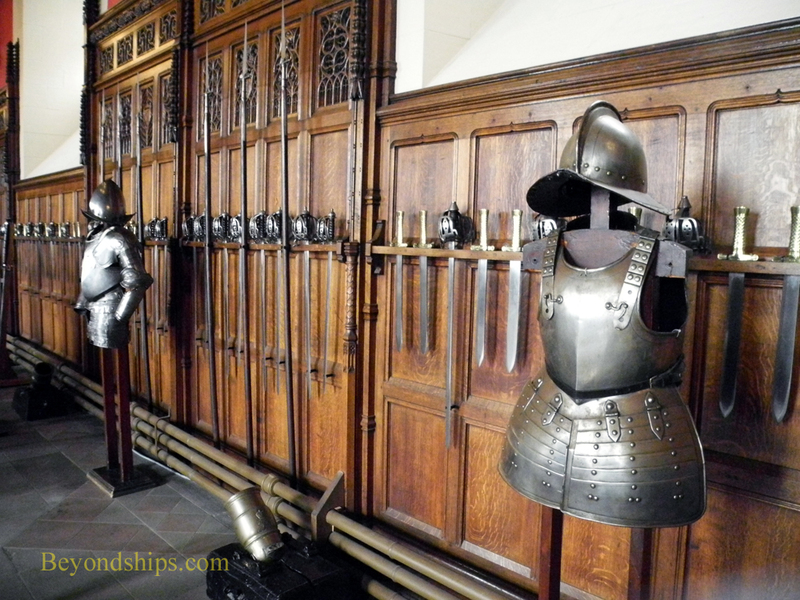 When the Palace ceased to be a royal residence, its rooms were put to other uses by the Castle's garrison. These rooms have been recreated nicely, although with little furniture. The most interesting is the tiny wood paneled chamber that was where Mary Queen of Scots gave birth to the future King James VI. Adjoining the Palace on the western side of the square is the Great Hall. Completed in 1511, this was where the court gathered, feasts and ceremonies were held. 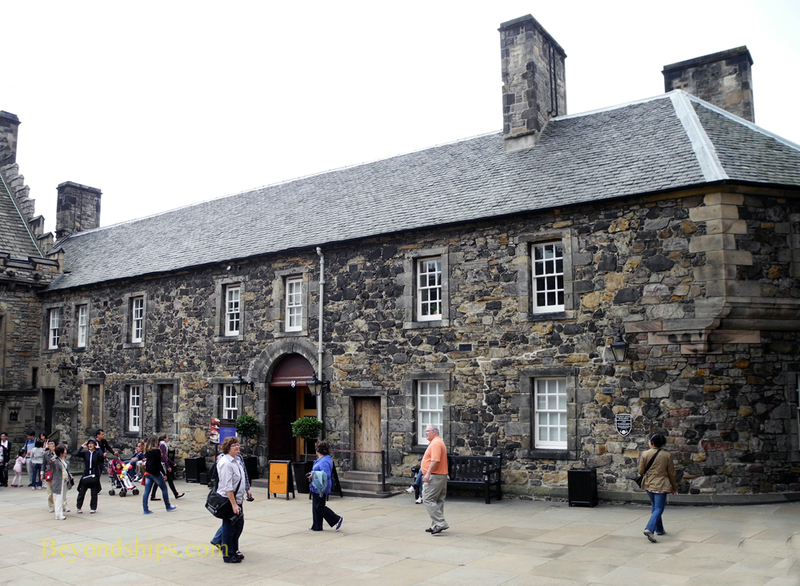 The Scottish Parliament may also have met here. When Cromwell's army captured the Castle, the Great Hall was subdivided and became a barracks for 312 soliders. It continued to be used by the military until 1897. 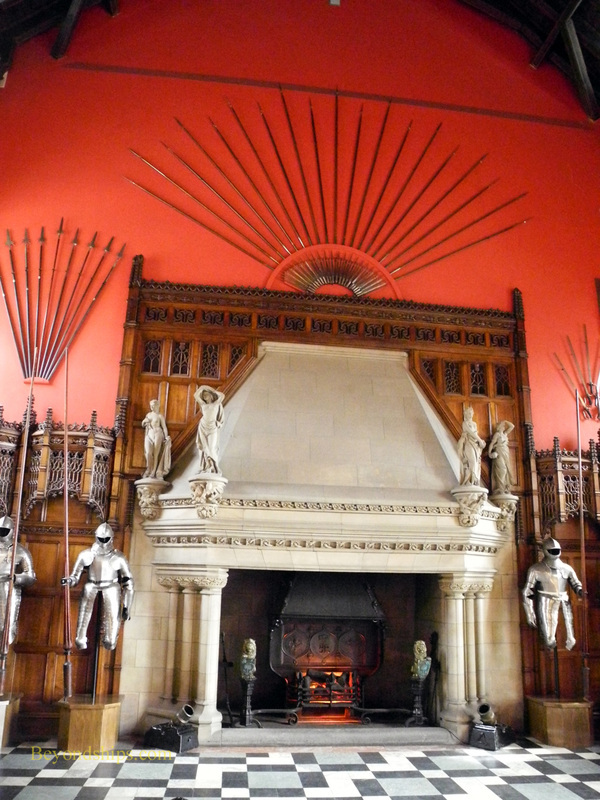 As a result, the impressive room that we see today is mostly a late Victorian recreation. 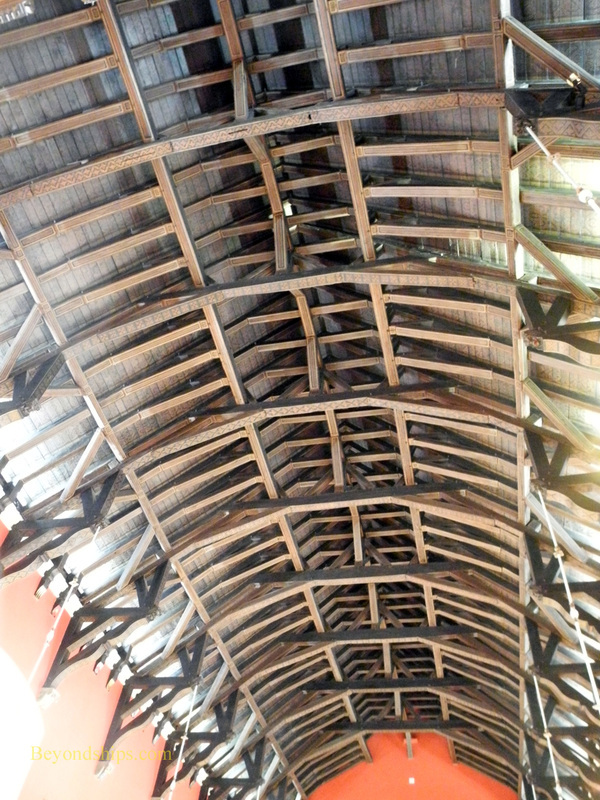 Only the massive hammer beam roof is original. Opposite the Great Hall is the Scottish National War Memorial. This building was originally a barracks constructed in the 1750s. In 1923, work began to convert it into a monument to the for Scottish soldiers and sailors who served in the First World War. Its purpose has subsequently been enlarged to encompass those who served in the Second World War and more recent conflicts. 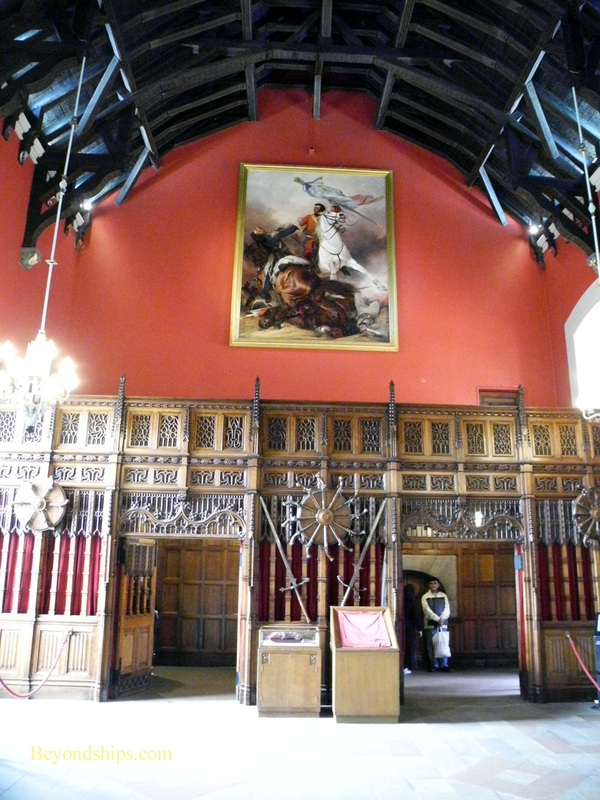 Inside, there are monuments to each of the Scottish regiments and to various other formations as well as stained glass windows. The Shrine is located at the highest point on Castle Rock and contains the Roll of Honor upon which the names of the Scots killed in the World Wars and more recent conflicts are inscribed. Facing the Palace is the Queen Anne Building. This structure was built in 1700 on the site of the Royal Gunhouse where cannons were made and kept. It was originally an officers quarters and later a museum. Today, it houses a cafe. Underneath the Queen Anne Building and the neighboring Great Hall are two large vaults where prisoners of war were kept. 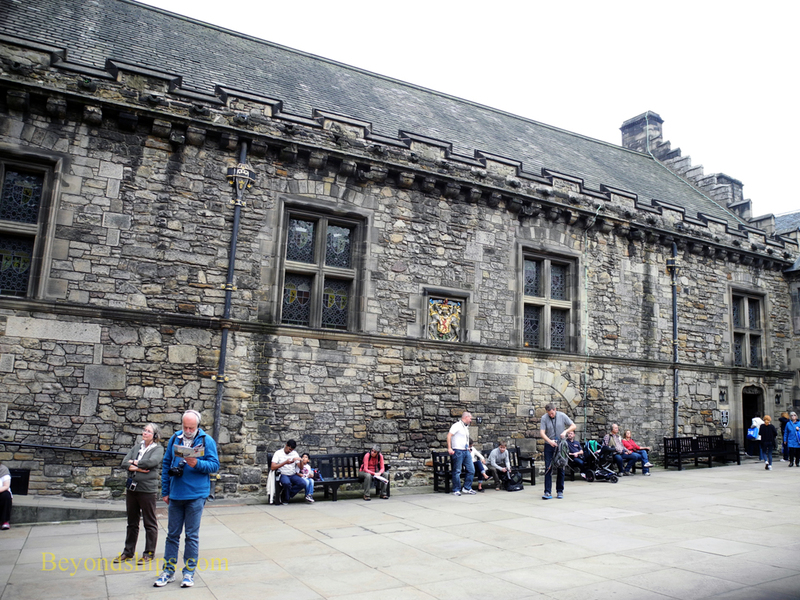 To the south of Crown Square is the oldest building in the Castle, St. Margaret's Chapel. 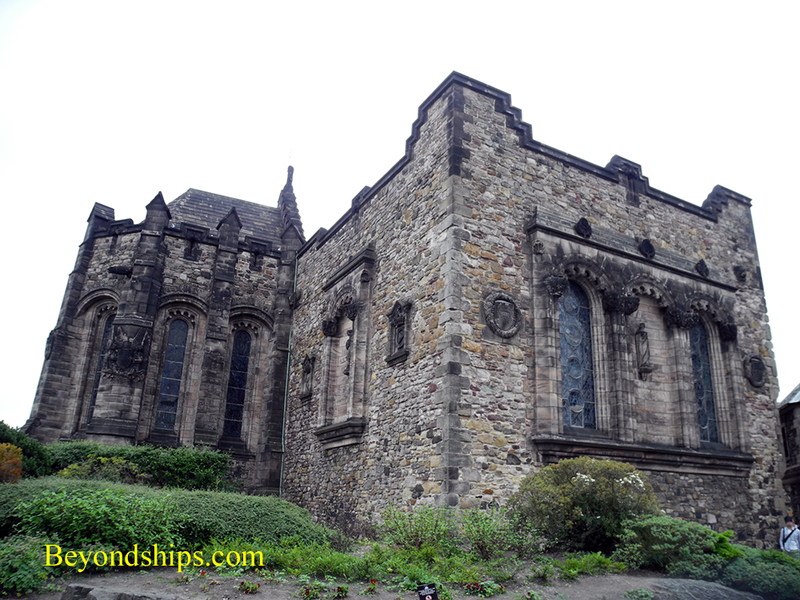 Built by King David II in the 12th century to honor his mother Queen Margaret (who had been canonized by Pope innocent IV in 1250), the chapel is a tiny structure. It has been theorized that it may have originally been part of a larger stone keep. The building was used as a gun powder storage room the 16th to the 19th century. After it was realized what the building was, it was restored in the 1850s. Edinburgh Castle is in the center of the City at the eastern end of the Royal Mile. You approach it from the east through the Esplanade. The Castle is open year-round. It opens at 9:30 a.m. and closes at 6 p.m. during the summer. During the winter, it closes one hour earlier. Admission to the Castle is by ticket. They can be purchased online or at the Castle. 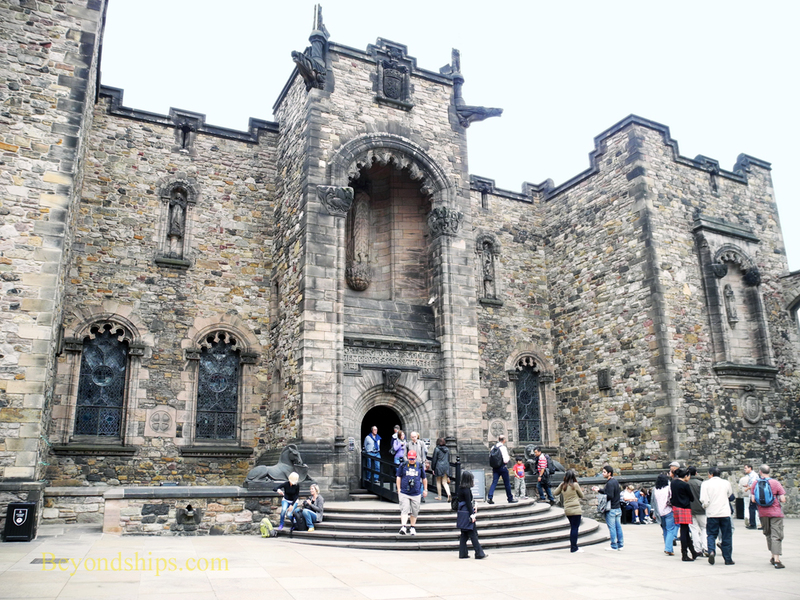 Once inside, there are complimentary tours by the Castle's guides. Alternatively, visitors can purchase an audio guide. Of course, you can simply explore on your own. There are numbered markers on the major sites with some explanatory information. The much of the ground inside the Castle is not level. Thus, you often find yourself walking up or down hill. In addition, the pavement is often cobblestones. The Castle is a very popular attraction but was not overcrowded when we visited. Cruise ships calling in Edinburgh usually offer shore excursions to the Castle. The chief advantages to these are transportation between the city and the ship and avoiding having to queue for admission tickets. As noted earlier, the Castle offers complimentary guided tours.